Hydroponic gardening's popularity has grown in leaps and bounds in recent years, especially in North America. One of the best ways to prevent problems before they happen is to talk to knowledgeable people that understand hydroponics. We can explain all of the do's and don'ts before your you start, thus giving your plants a better chance to succeed and prevent any unnecessary problems. Although these are some helpful tips in preventing problems before they happen, we recommend coming in to the store or calling us to discuss your growing project. This will allow us to better understand what you are trying to accomplish and we can lead you down the right path. 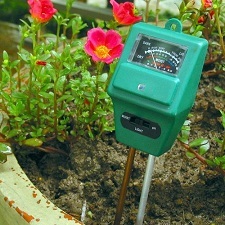 We are here to help gardeners grow successfully the first time by offering the proper equipment and the right information. » Monitor pH Levels: There are lots of things that can cause a hydroponic nutrient solution to drift outside of the ideal range of about 5.5 - 6.5. Usually, if a nutrient solution is left unmonitored for too long, it can start drifting outside of this range because of bacterial populations. Aerated water at good temperatures (71 degrees or below) will increase in aerobic bacteria, and pH goes up. Even though the pH needs to be adjusted, aerobic bacteria are good for plants. If water temperatures get too warm, anaerobic bacteria will cause pH to drop. Anaerobic bacteria are the microbes that cause root rot. » Keep Temperature Levels Stable: Your nutrient solution should be fairly cool to temperate, somewhere in the range of sixty six to seventy one degrees Fahrenheit. You should be particularly aware of this if you happen to live in an unusually warm or cold part of the world. If you feel it is necessary to prevent plant deficiency, take extra steps to insulate your grow room against outside elements. You should also try placing your reservoir directly on the floor, as the floor can be very cool, which can keep the reservoir cool in a warm grow room. » Use Supplements: The most common deficiencies can be cured by adding a Calcium Magnesium supplement and an organic micronutrient supplement such as seaweed extract. There are several additional products that can increase the availability of nutrients for your plants. Beneficial Bacteria are extremely important to keep roots healthy and clean. Beneficial Fungus will increase root growth. Enzymes clear out any dead root cells. All three of those biological additives can assist in breaking down nutrients for easier uptake by the roots and ensure a large, healthy root zone. Large roots have an easier time absorbing nutrients. Humic Acid, Fulvic Acid, and B Vitamins can all increase plant metabolism and/or nutrient uptake.